Last week I wrote about the sixties shift dress. This was stimulated by hearing that Mary Quant had become a Dame in the New Year Honours. Something else she is credited with designing and naming is the Mini-skirt, which she said she named after the car which was also fashionable at the time. But she also said she didn’t invent it – it was invented by girls on the streets of London. Which is probably true. However the Mini sums up the sixties even more forcibly than the shift. A mini-skirt is just a short skirt, ending somewhere around the mid-thigh. Unfortunately it often meant you had you place a hand strategically on the thigh when being photographed to avoid showing your underwear. Witness2Fashion has recently written about how the mini skirt changed how women sat. The mini-skirt was at heart a garment that revealed and celebrated the leg. On the beautiful models of the day (whose legs were slimmer than the average woman’s arm), they looked superb. Bare legs with sandals, or with pale tights (making a change from suspenders and stockings), flat girlish shoes, and few accessories; these simple items made the strongest statement. Notice the props – a scooter, and a London front door, complete with milk bottles. Initially the skirts were not that short – ending maybe four inches above the knee, a length that would be regarded as unremarkable today. Here are some designs by Mary Quant, which merely reveal the knees. Nevertheless the outfits have a youthful feel with the coordinating woollen fabrics, Peter Pan collars, black polo neck jerseys and cheeky hats, worn with what an old boyfriend used to call “contraceptive tights” due to the shade rather than effect I think. The neat, flattish shoes work really well with the shape of the garments. 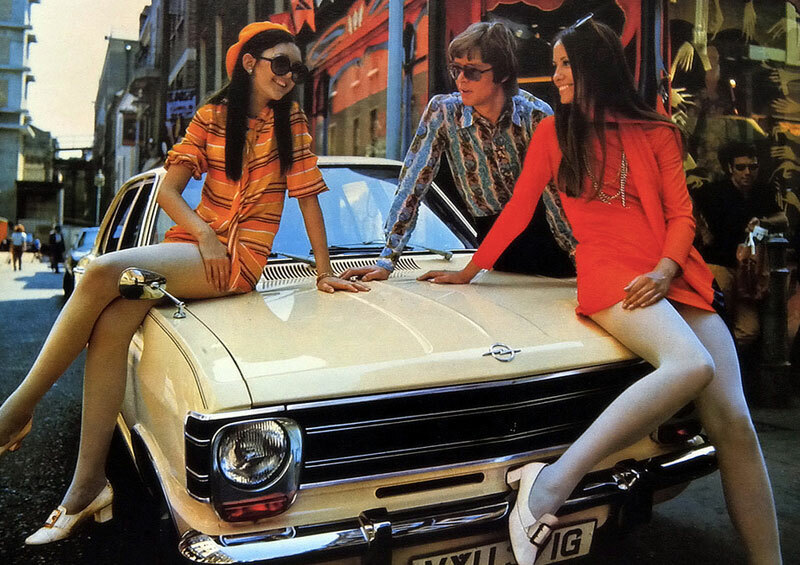 Of course many young women were naturally slim and looked good in a mini, but soon shorter skirts became the norm and everyone started wearing them. 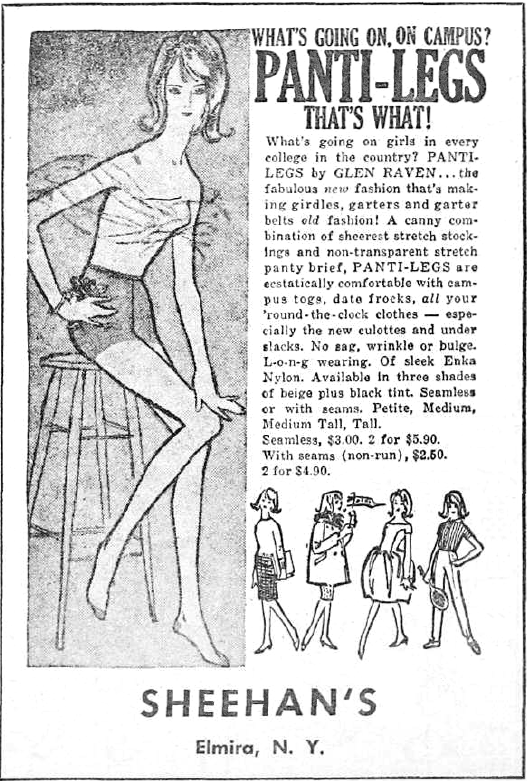 They allowed women more freedom, especially paired with less constricting underwear and “pantyhose” which were originally pants with stockings attached. While in the 1960s wearing a thigh length skirt was radical and challenging, today a short skirt will not generally turn heads. I would also argue that you do not need to be young, leggy and beautiful to wear a shorter skirt. relatively long legs, especially in the thigh, can carry off a short skirt. cellulite or less than perfect skin means tights are essential with a short skin. Worth the read for “contraceptive tights”! I’ve always preferred wearing longer skirts, usually slightly below the knee. I have several pencil skirts that finish above the knee but I almost never wear them, choosing the longer ones. I think it’s just a proportion thing with my figure that makes the long ones look better to me. That said, shift dresses with an A-line skirt I’ll wear above the knee. I don’t think I’ve ever worn a mini, although I love the pictures!